Today I wrap up my interview with Kent Annan, co-director of Haiti Partners, author of Following Jesus Through the Eye of a Needle, and introvert. Next week I will be posting my interview with Jamie Arpin-Ricci, an introverted church-planter and all-around insightful guy. Adam: God calls all sorts of people to daunting tasks, even calling introverts to missions in highly extroverted cultures. How do you structure your life in order to have energy for people in your ministry AND energy for your marriage? Kent: Well I just told about the social intensity in Haiti, but here’s the great part for introverts: people often don’t do much visiting at night and in the places we were there wasn’t electricity. So once my wife and I lived in our own house, then from say 7:30 pm through to 7 am the next morning, it was just us. We’d fire up the kerosene lamp to read and write, and that was really sustaining to me along the way (and how I wrote my book). I think we just have to find the ways to be able to give a lot, more than we ever thought we could, but also find the ways that God’s created each of us to enjoy art, reading, praying, writing, and other kinds of solitude that many of need to connect with meaning, with God, with others, with ourselves. If you choose ministry that’s working with people, then you know you’ll get less, but you can find ways if you’re deliberate (though sometimes it takes a while to find the ways, especially in a new place or new culture). For marriage, part of why we moved out of living in a house with a Haitian family (who were and are great friends) is because we needed time as individuals and as a couple. This was crucial for us to be able to make it. I don’t know that there’s a formula, but my experience has been there are seasons in this kind of work where you get stretched almost to the breaking point—but you have to try to not let it get to where you break. Adam: What is your experience of working on teams? 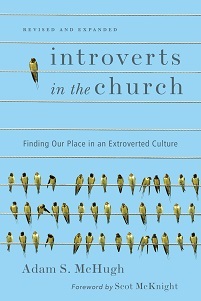 Can introverts effectively work on missionary teams? Kent: I think so. But you need to ask what you’ll be doing as ministry and whether it’s realistic for your role to match your personality. And if that is as part of a team, then like in marriage, you find ways to sustain yourself in your work but also make the appropriate compromises and find ways that you’re energizing for others. This (thinking of your first question) is worth thinking through well before you start mission work—what kind of work, what kind of expectations, whether it’s team-based or you can do more solo work within the mission, etc. You want to be stretched following Jesus, but you don’t want to do something that in no way (barring the miracle of loaves turning to…I mean, introverts turning to extroverts) fits you. Missions work and crossing cultures is challenging, so you need to be realistic about whether it fits your gifts and your call. Adam: Your book is an incredibly honest, self-reflective look at life as a missionary, with all its joys and struggles. Is writing a comfortable way for you to express your inner life? Kent: Definitely. I think it’s often easier for me than in conversation. I seem to have to drill down to what I’m thinking or feeling. That drilling down can work well by writing, crumpling up the paper and throwing it out, rewriting, finding my way to what is true. So it’s really valuable to me in that way. And books are a way to connect—both as a reader and as a writer—with someone else in a really intimate way. There can be a profound connection there. As I write, I want to honor all the possibilities of that. 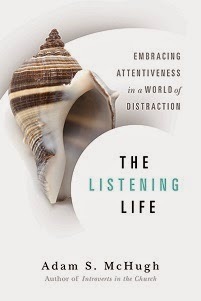 I’ve never thought of it in this way before, but I guess one interesting part of this book (for introverts, who are presumably the ones reading your blog!) is the way it veers back and forth between this stimulating, bustling external experience of Haiti and then the introverted reflections on what it means and how to navigate it. There is so much joy and struggle in the world around us and the world inside us. Both deserve attentive exploring, right?